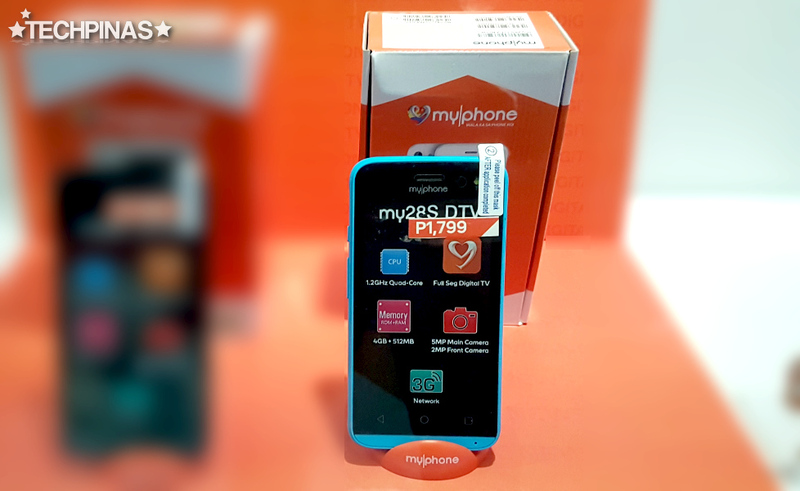 MyPhone My28s DTV Price is Php 1,799 : Watch Clear Digital TV Channels On The Go! Last week, I told you about a new MyPhone dongle that you can plug to your Android smartphone, allowing you to watch Digital TV shows on your device. 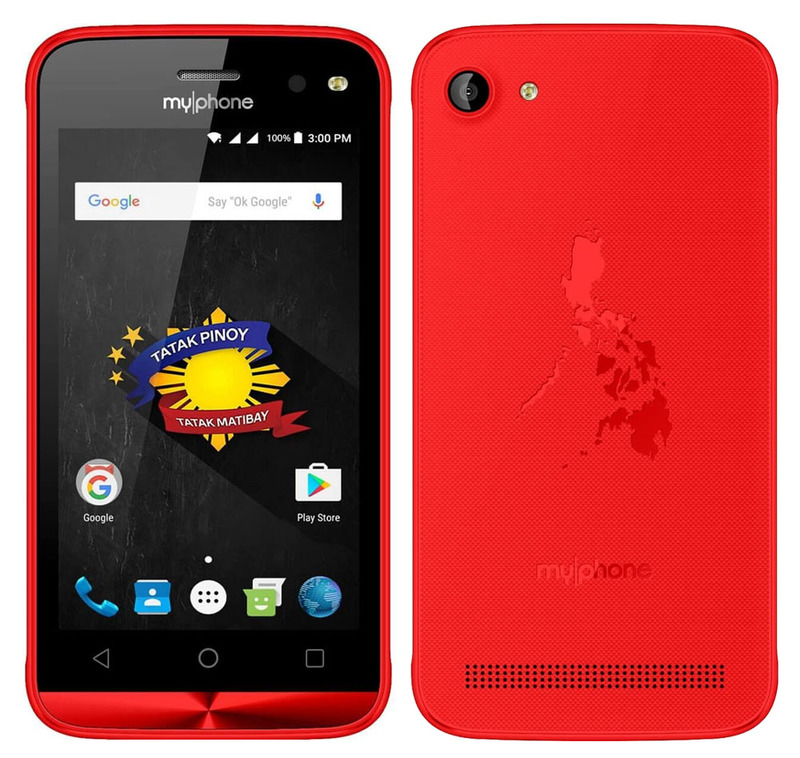 The product only costs Php 499, which is fairly affordable considering the added value that it gives your handset. But if you don't have a smartphone yet and you're currently looking for a wallet-friendly daily driver with DTV functionality, MyPhone also has something for you. As its very name suggests, MyPhone My28s DTV is a Digital-TV-enabled version of the 2016 best-selling entry-level Android smartphone by the company. Apart from DTV functionality, this handset has the exact same technical specifications of the regular model, which include the 4-inch WVGA display, 5 MegaPixel main camera, 2 MP front cam with Soft LED flash that comes in handy for low light conditions, Dual SIM Dual Standby capability, 3G HSPA+ support, and a removable 1,450 mAh Li-Ion battery pack. Inside, it runs Android 5.1 Lollipop operating system with 1.2 GHz Quad Core ARM Cortex A7 and Mali 400 based Spreadtrum SC7731 chipset, has 512 MB of RAM for multitasking, and comes with 4GB of expandable storage. MyPhone My28s DTV is a basic Android smartphone through and through. I personally see it a decent smartphone for browsing social media sites like Facebook, Twitter, and Instagram as well as browsing blogs and websites via any mobile browser for Android. For gaming? Well, maybe just the basic 2D titles. As for the cameras, again not the best ones out there; But at this price point, that's forgivable. The highlight of this handset is certainly the Digital TV support that lets you watch clear and crisp DTV channels from ABS-CBN, GMA7, and TV5 on the go, wherever there's signal. If you enjoy watching telenovelas while you're in the bus or jeepney on the way home, you will surely appreciate this feature. 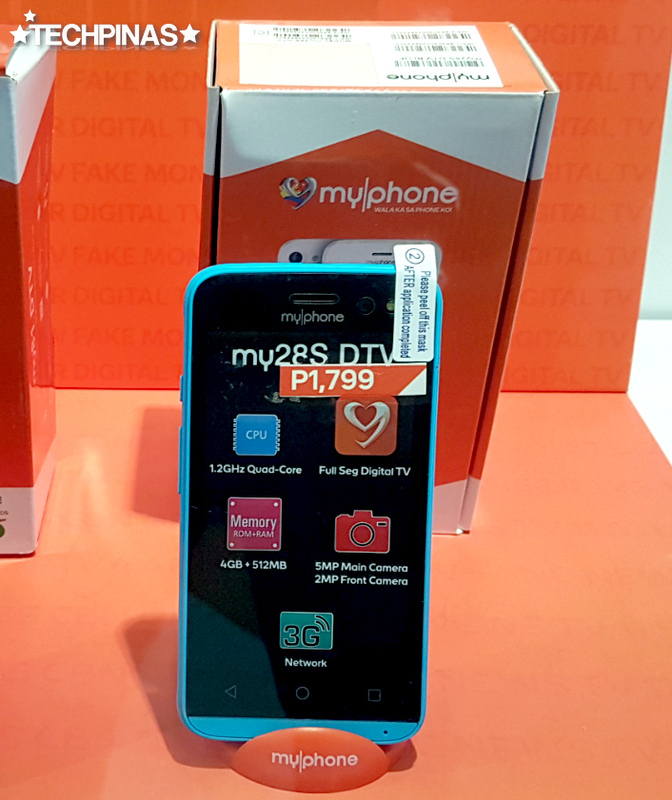 MyPhone My28s DTV is now available at all MyPhone Concept Stores, kiosks, and authorized retail channels across the country for only Php 1,799. I believe it's out in a number of fun colors including Light Blue, Red, and White, among others.